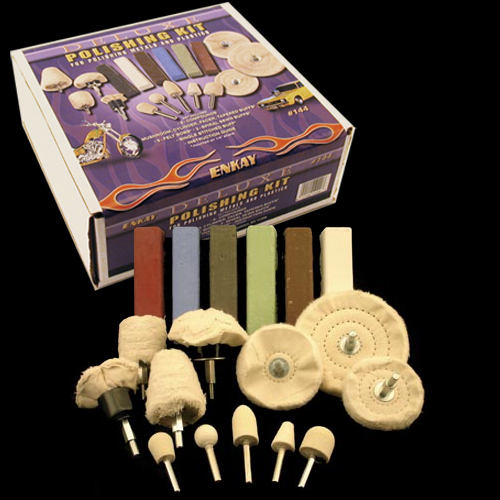 This kit is perfect for almost any type of polishing. Whether it’s aluminum, stainless steel, gold, plastic, or wood this kit does it all. For use with any standard electric drill.